Once you choose a design, complete your plan by selecting an edge. Pencil edge is very current, and a very popular granite edge that works in almost any setting. 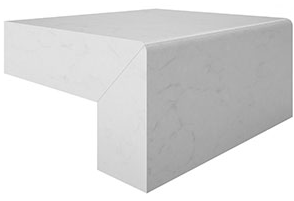 Straight Edge is a simple, elegant and classic edge profile for granite or marble. This style is equally at home on modern counters or in a vintage kitchen that needs new life. The Quarter Inch Bevel is a good choice when you don’t want a rounded edge on your granite but still want some shape. For a natural, rustic appearance, choose this hand-finished profile. Half Bullnose is another client favorite for when you want a little curve, but not the full traditional look of the full bullnose edge. This soft edge style lets other design elements in the space take center stage. This edge is most popular in traditional settings. Ogee is an elegant and curvy edge we are often requested to cut for granite counter tops in more traditional homes. For an elegant finish, choose this profile. This profile is one of our most ornate. This edge creates a modern look! DISCLAIMER: This page is designed to help you select an edge profile that is suitable with your design preference. 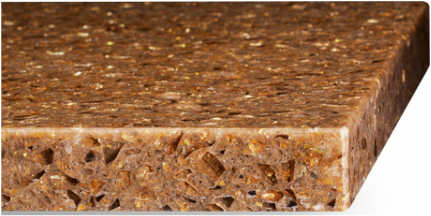 However, some edges may not be suitable with specific countertop materials and/or thicknesses. Please confirm your edge preference with your countertop fabricator, to ensure compatibility The Master's Touch Stoneworks will work with you to make your dream countertop, so feel free to bring in your desired edge detail if not listed above.